WASHINGTON (JTA) — Two of President Donald Trump’s top advisers, son-in-law Jared Kushner and Treasury Secretary Steven Mnuchin, got caught up in the sensitivities of U.S.-Saudi relations this week, and it didn’t go well. In each case, the grisly killing of journalist Jamal Khashoggi became an issue during an event where each adviser hoped to highlight a Trump administration positive: Kushner wanted to tout prison reform, Mnuchin aimed to showcase an effort to enhance sanctions on Iran. The Saudi regime, effectively led by Crown Prince Mohammed bin Salman, this week acknowledged that its agents killed Khashoggi, a dissident columnist who had angered the crown prince. President Donald Trump condemned the killing and has said that he believes there was a Saudi cover-up — but will not implicate bin Salman, who Trump said has denied any role. “I want to believe them. I really want to believe them,” he said. What’s behind Trump’s ambiguity has become an international guessing game, although old-fashioned realpolitik appears to play a large part. Trump is candid about wanting to preserve a $110 billion military purchase by the Saudis, and his administration has courted the Saudis’ cooperation in containing Iran and supporting the U.S. efforts toward Israeli-Palestinian peace. That’s where Kushner and Mnuchin come in. Kushner has formed a close friendship with bin Salman, and as Bob Woodward reported in his book “Fear,” has been working to encourage an alliance between Israel and Saudi Arabia. Mnuchin is leading an effort to use sanctions to isolate Iran, seen as the principal regional threat to U.S. interests and allies like Saudi Arabia and Israel. Both Kushner and Mnuchin are Jewish. Kushner appeared this week in an interview at an invitation-only CNN forum with its liberal commentator Van Jones, who has praised the White House — and Kushner and his wife Ivanka Trump particularly — for advocating prison reform. Kushner has been an advocate for prison reform ever since his father, Charles, did time for illegal campaign contributions, tax evasion and witness tampering. Kushner is rarely available to the media and likes to choose softball events when he is — and this was supposed to be one. But Jones couldn’t avoid the Saudi issue. “Do you trust the Saudis to investigate themselves?” Jones asked. 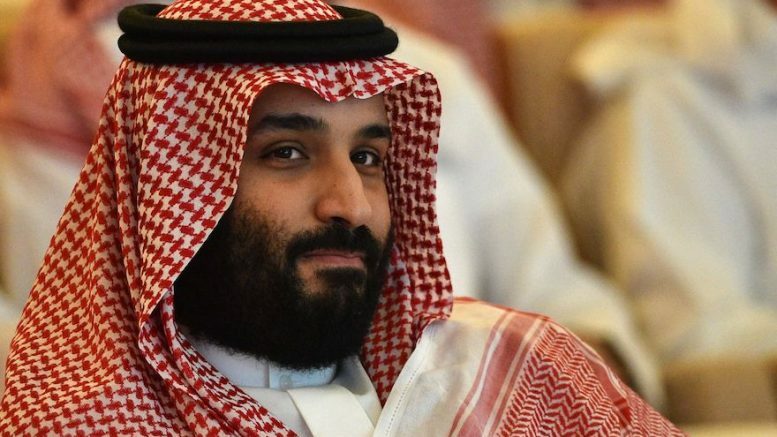 “It seems like MbS is like the prime suspect and he’s also the prime investigator.” MbS is a popular nickname for bin Salman. Using facts to “determine what we want to believe” prompted a storm of derision on liberal media; Mother Jones made it the magazine’s quote of the day. That didn’t stop the Saudis from posting a photo on Twitter of Mnuchin and bin Salman meeting — and attaching to it the Davos in the Desert hashtag, #Vision30. The Saudi Foreign Ministry tweet also seemed to imply that the alliance with the United States should override other considerations. “#CrownPrince meets with the U.S. Secretary of the Treasury and stresses the importance of Saudi-US strategic partnership, where it holds an important role in the future in line with the Kingdom’s #Vision2030,” it said. As Mnuchin moved on to meetings with Israeli leaders in Jerusalem, critics questioned whether bin Salman deserved a high-level chat with an administration figure. Be the first to comment on "Jared Kushner and Steve Mnuchin walk a fine line on the Saudi crown prince"